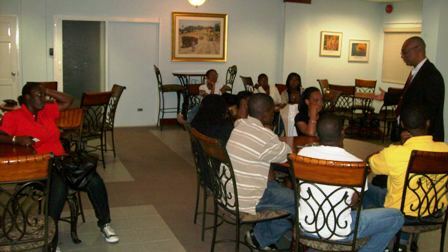 (Charlestown,Nevis–Thursday, February 25th, 2010) Premier of Nevis, Hon. Joseph Parry returned to Nevis this week from Barbados, where he met with St. Kitts/Nevis students who are attending the University of the West Indies, Cave Hill Campus. 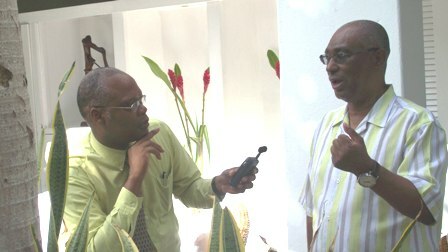 The meeting was one of several engagements during his visit to Barbados, among them a television interview with Caribbean Media Corporation (CMC) and an interview with well-known Barbadian radio host, Mr. David Ellis. 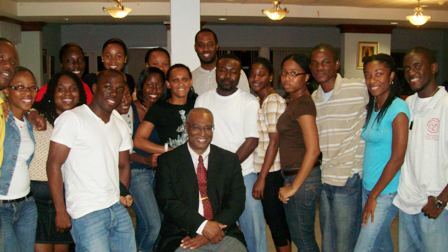 Premier Parry discussed with the students his days at the Cave Hill campus, where he studied Economics. He also held in-depth discussions on Politics, Geothermal energy and Education. The students asked a number of questions and registered their concerns on matters which included Secession, Crime Prevention and their ambitions for the future. 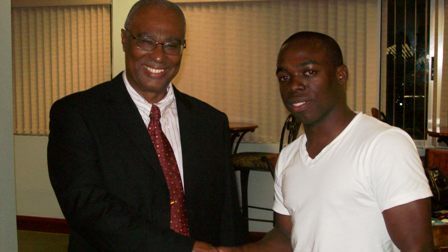 During the meeting, one student from St. Kitts commented on his observation of the Nevis Reformation Party (NRP)-led Government’s practice of assisting Nevisian students who sought higher education. “I commend your government for making it possible for a large ratio of Nevisian students to be able to receive higher education; no matter what their backgrounds are,” he said.